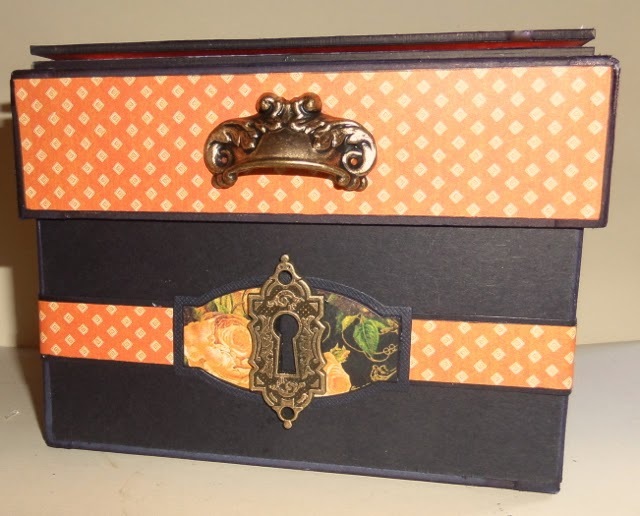 One product not at the show is my new Picture Box/Recipe Box with stand kit (pictured above). 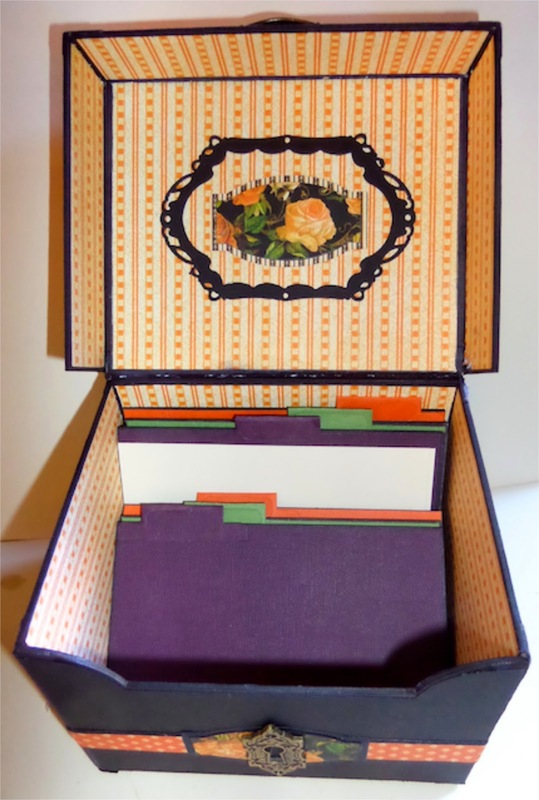 I've designed it to fit standard 6" x 4" recipe cards and photos and added a quirky lift up stand for recipe cards too. The kit available over in our shop contains 18 pieces and comes with a link to the easy to follow assembly guide video. 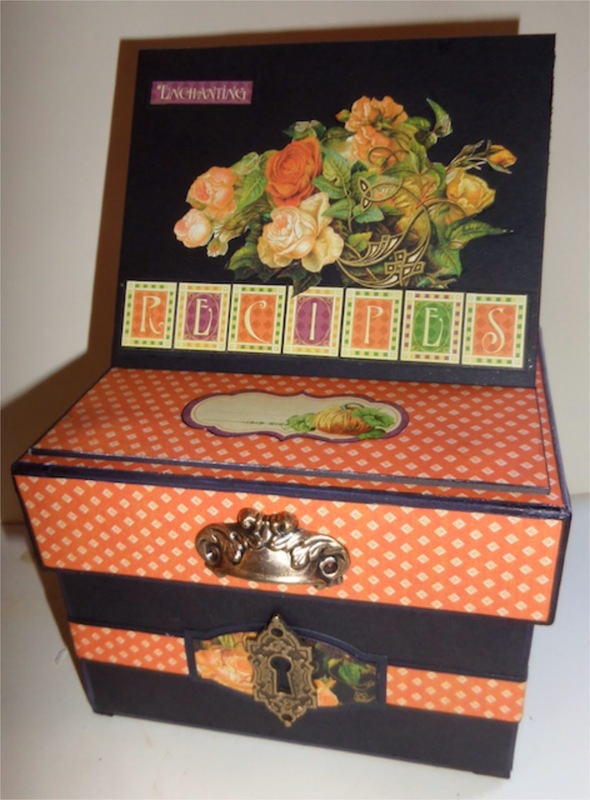 Here's a few more pics of my finished sample altered with the Eerie Tale papers by Graphic 45.
wow gorgeous box and very beautiful made again Clare. 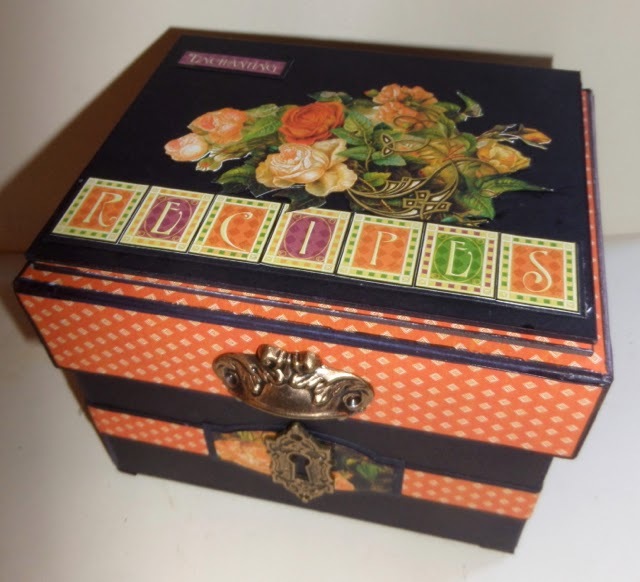 Oh Clare the recipe box is beautiful!!!! You did such a lovely job on it, as always! 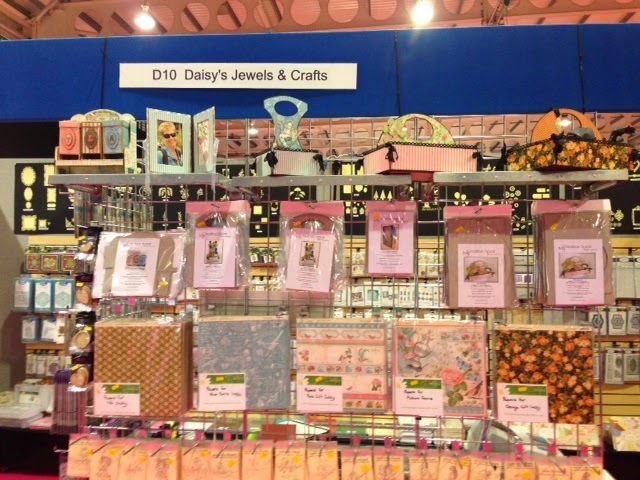 Have a great time at the craft fair!! Always exciting to see what is new, etc. I am still working on the Christmas albums, one almost finished, two to go!! Hi Clare, Wow !! this is fabulous, I love the bright and cheery colours and patterns you have used too. Have a great day with your friend at the Show. We have had torrential rain here for most of the day, now we are also getting very strong winds too, horrid, this must be the tail end of the hurricane the forecasters were predicting, my heart goes out to the ones experiencing the beginnings of it !! 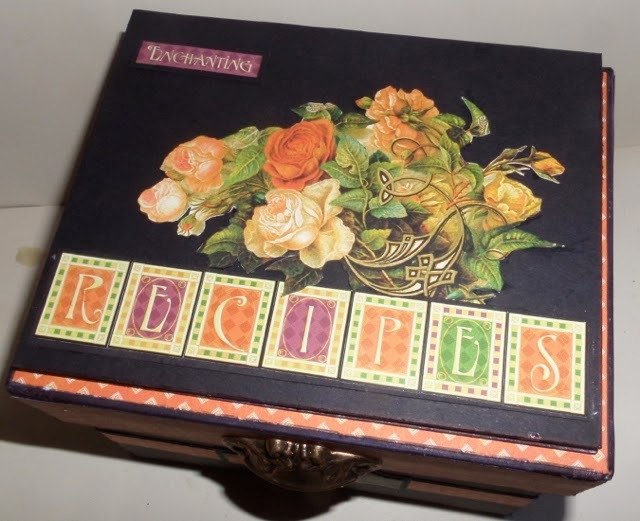 Hi Clare, I just love this project - it's fabulous and such a great idea for a gift. Weatherwise here in South Yorkshire it's torrential rain, storms, high winds and occasional sunshine, although not necessarily in that order. Many thanks for your response to my email, it was greatly appreciated. Enjoy the rest of your day.